"Cat health insurance is an important way to be prepared for high veterinary bills and the high upfront payments demanded by many veterinarians. Insurance for cats is important when you consider that common problems such as a broken leg can cost between $1,000 and $2000 or older cat issues such as arthritis can cost $1000 a year or more." 1. Does your veterinarian except the policy from the company you are considering. 2. Can you choose your own veterinarian. 3. What is the monthly cost? 4. What are the deductibles? 5. Is well care covered - eg; vaccinations and checkups. Fees start at approximately $20 per month for basic insurance that does not cover well care (checkups). Costs are calculated based on where you live (vet bills are higher in some metropolitan areas), your cat's age and breed. You pay a monthly fee, and you may have a deductible before your insurance policy kicks in. Most cat pet insurance policies typically pay a percentage of the total vet bills, usually 80%. You are responsible for the remaining 20%. Many plans offer discounts for multiple pets. Most cat pet health insurance policies exclude dental care, with the exception of dental care resulting from an accident or emergency. This is similar to medical insurance plans people typically have. 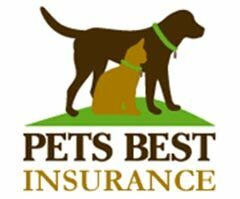 Pets Best - Pets Best is another popular choice from a leading insurance company that is over 25 years old. This company was founded by a veterinarian who wanted to help owners pay for the care of their pets. The company allows you to choose any veterinarian and will pay 80% of costs after a deductible amount (the part you pay) that you choose, based on the plan selected. Veterinarians bill the this cat health insurance company directly, with payment back to them in 5 days or less. 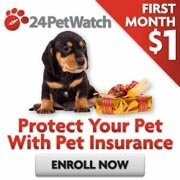 24PetWatch Pet Insurance - is the #1 choice in North America. They also offer several options, making it easy to compare those provided by Pets Best. Cat insurance plans for available for pets of any age. 4 options are available ranging from lower cost cat health plans that pay for 70% of costs to a premium plan that pays 100% of costs. For more information on this topic and others, visit Cat Breeds Junction the A -Z on cats. A resource dedicated to cats and all cat related matters.